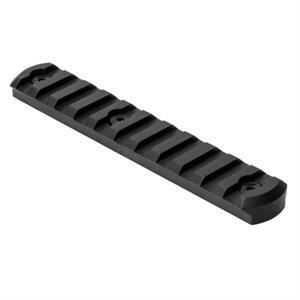 Keymod is a modular locking accessory mounting system that is a direct attachment method for hard mounting accessories to a negative space mounting point. 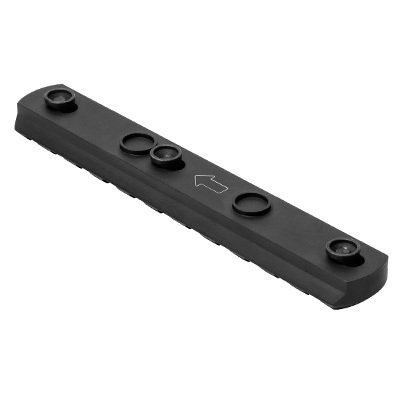 An evolution of the Picatinny slot system, the Keymod system is a free licensed platform to allow greater compatibility of accessories between all manufacturers. KeyMod Picatinny Accessory rail, mounts onto KeyMod Spec. handguards. Rounded profile rail ends for a more comfortable hold when used as a hand stop.